Just because we live in an RV doesn’t mean that I have to forgo getting dressed up or give up the latest fashion. If any of you know me personally, I like to doll myself up when we go out to dinner, visit with friends and family or just to go shopping. I said to myself when we started this adventure that I was not going to allow myself to turn into…FRUMP GIRL. Before we sold our S&B (sticks and bricks home), we had our coming-to-Jesus-moments when getting rid of all of our STUFF. I sat on the floor of our meticulously organized walk-in closet in our 3600 hundred square foot Kentucky home sobbing uncontrollably like a little girl who was told she couldn’t have an ice cream cone. I looked up at the twenty-five pairs of dress shoes; each tucked away in clear plastic shoe boxes on the shelf above. Next to them were all of my purses and handbags of every size and color lined up like little soldiers standing at attention. I sneered at my professional business wear. There was a time I’d put them on with matching shoes to trek off to my corporate job. 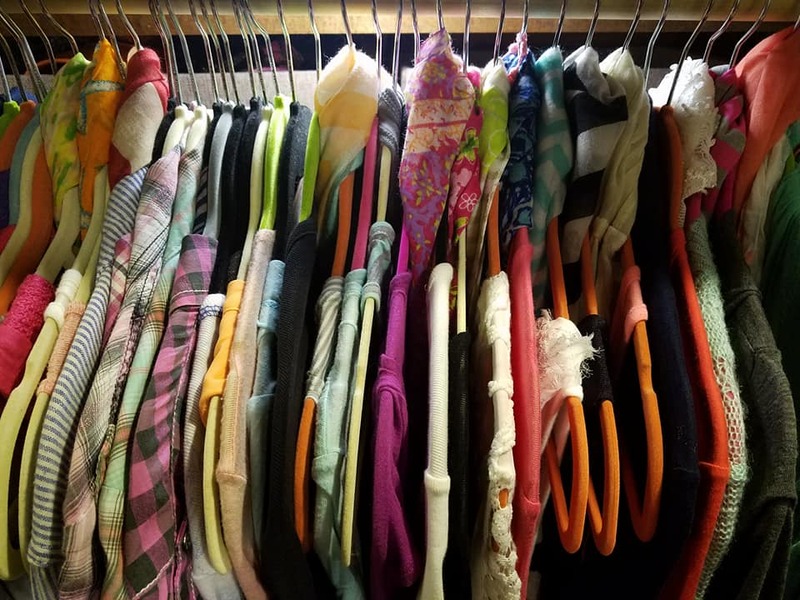 In the one end of the closet, tucked neatly in the back, was a floor-length fabric garment bag hiding my glitzy military ball gowns and best dresses. 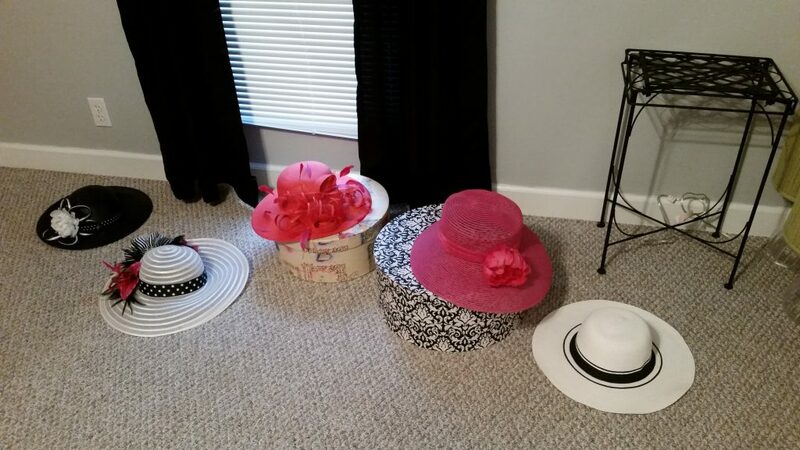 In the other corner, hung my classy Kentucky Derby dresses with coordinating beautiful big hats on the shelf or tucked away in large decorative hat boxes. There were sparkly rhinestones and shiny embellishments that glistened in the light from Derby Party fashion pieces on hangers that hung above me. A hint of lavender and cedar from the cedar blocks delicately scented the air as they laid near stacks of perfectly folded sweaters. It took me back to the cold winters in Kentucky and Maine. 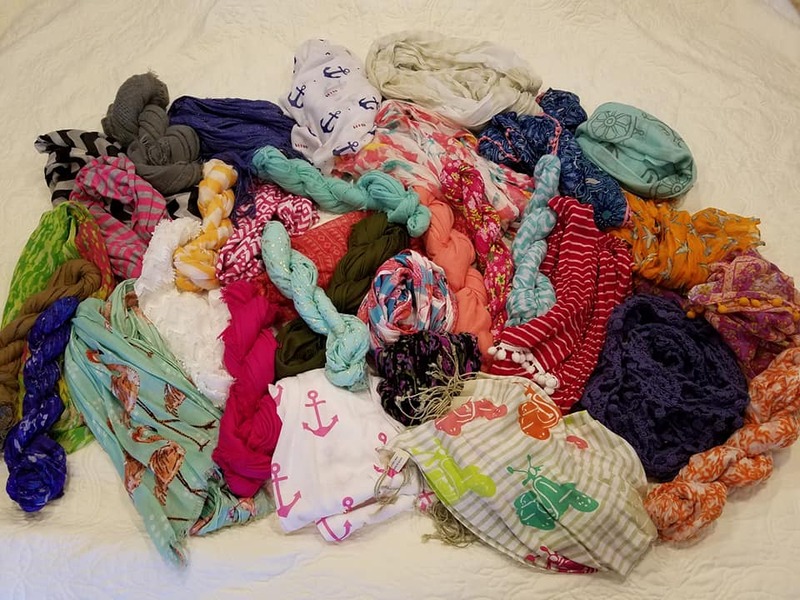 I rose to my feet, shrugged my shoulders, and pulled myself together saying, “I can do this” as I started taking the garments off the hangars and tossing them on the bed. I went through each item; categorizing and placing each in designated piles, “sell, donate, and give away”. 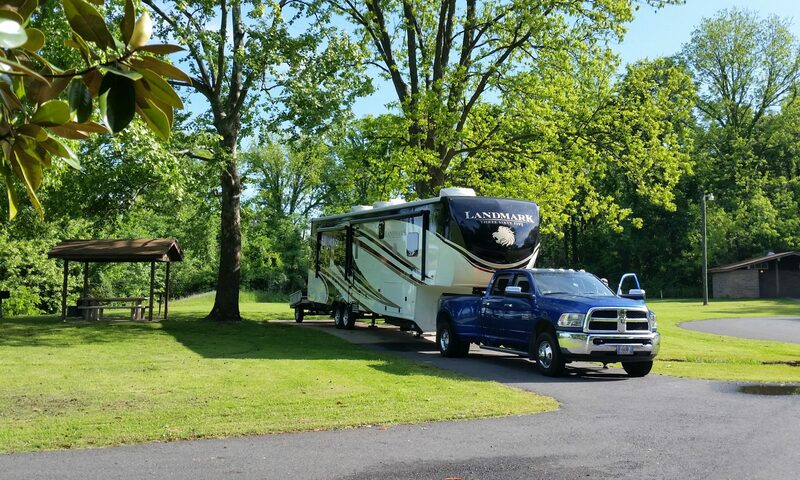 This was one of my defining moments of downsizing to live in an RV. After I finished, all that was left were things I just couldn’t part with. They were to fit in my half of our new closet; a four foot clothes rod, three shelves and a couple small drawers. My evenly spaced wooden hangers were now like skeletons in the closet that would remain for the new homeowners. Oh, the stories they could tell! The day we moved into our 5th wheel, I sat on the bed and again, sobbed just as I did in our sticks and bricks home and thought to myself, “I can do this”. Today, my closet is much different; hilariously smaller. However, I’ve come to the notion that living in an RV didn’t mean that I had to sacrifice my girly-girl fashion. So, while I’m no Vera Wang, I can still offer some helpful hints that will help you look and feel like a thousand bucks. For those who commiserate with me about fashion but are about to embark on your own fashionista journey, here are my pointers and tips. My fashion philosophy is stick to neutral colors; blacks, denim blues, navy blues (or in our case, “Coast Guard” blues), light and dark browns. For the warmer seasons, whites or off whites are okay, but again, keep them simple and carefree. Go ahead and splurge on your most favorite jeans because, no doubt, you’ll be wearing these the most. Buy good quality bottoms because you’ll be wearing them often since you’ll only have a few. Avoid embellishments and colored buttons. Buy nothing that requires dry cleaning or special care…or an iron. Here’s where you can play with a little color. However, keep most of your tops in solid colors such as reds, blues, yellows, pinks, greens, etc. A few prints are fine. However, keep in mind that RV clothing storage is a premium. 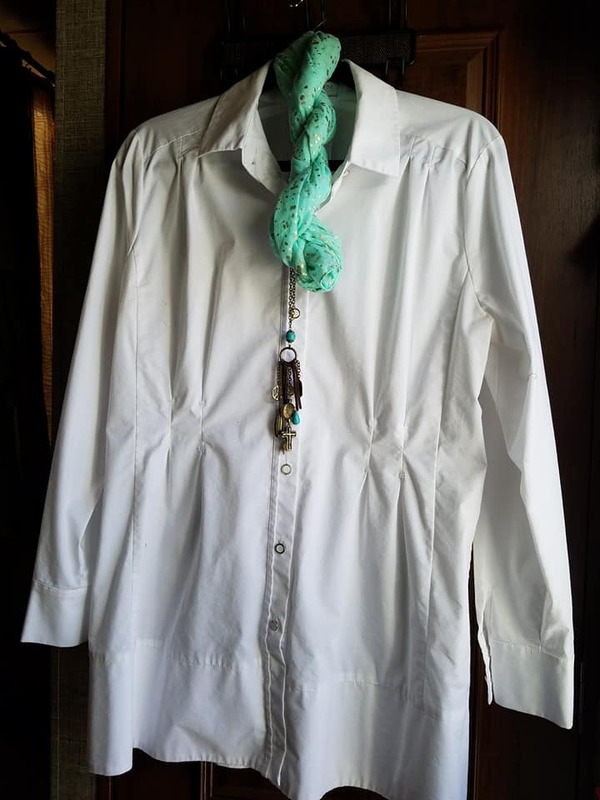 A simple white blouse, a black dressy tee and a variety of solid color tank tops to wear under wraps, sweaters and open-front blouses can be dressed up with scarves and jewelry. Select fabrics that are wrinkle free and don’t require extensive care or dry cleaning. A good rule of thumb to remember is thick garments like bulky sweaters take up space. Would you rather have one big bulky sweater or three lighter weight wraps or cardigans in different colors? Keep in mind the seasons and varying temperatures of your travel destinations. Instead of buying specific seasonal clothing, buy lighter weight clothing and layer. You can do so much with a couple of open-front sweaters or shells, a lighter weight leather jacket, a boyfriend blazer and a denim jacket. Like your bottoms (see above), keep your shoe colors neutral; black, navy, white/off-white, and a khaki color. You’re probably thinking, “Good grief, how boring!” However, you’ll want people to look at the whole you and not just your feet. 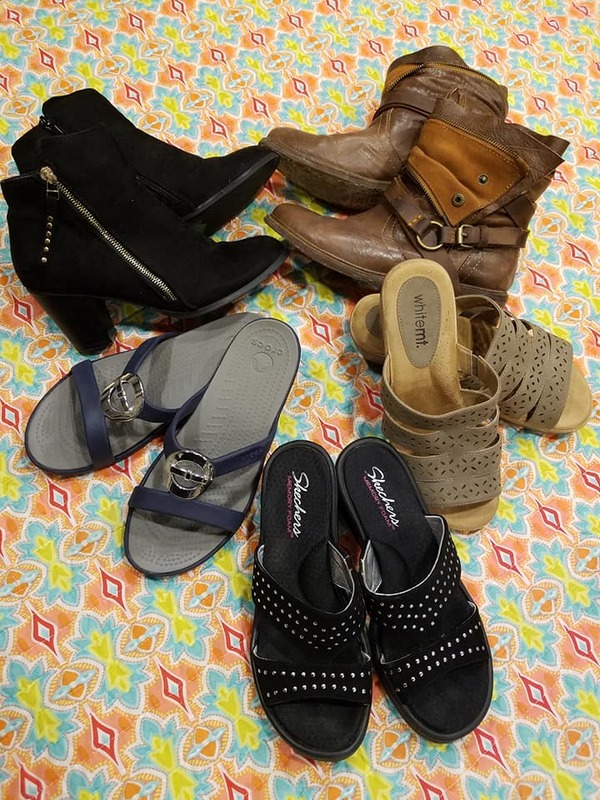 Since flip flops are really lightweight and take up very little space, go ahead and treat yourself to a few nice pairs. They are all the rage! 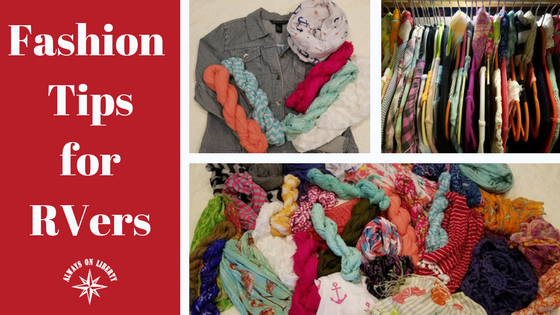 Scarves are popular, multi-functional, vibrant and just plain cool. 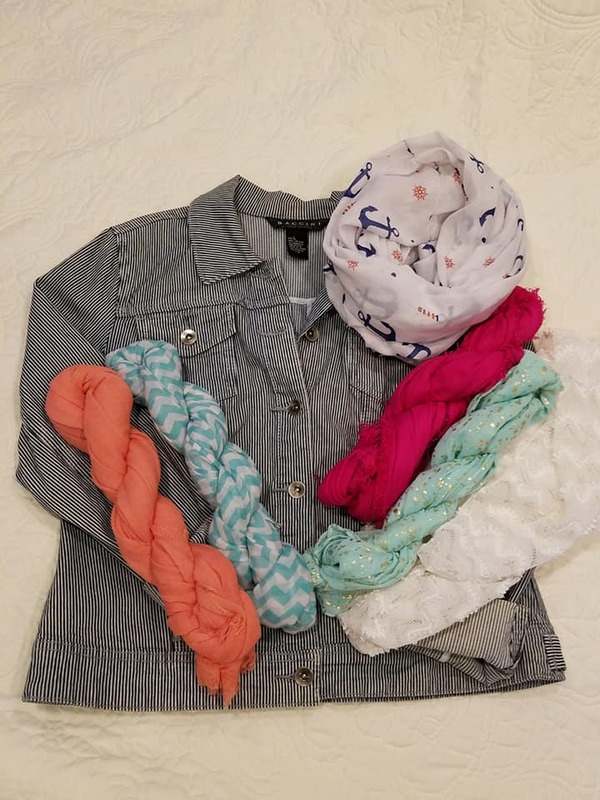 A simple scarf added to the wardrobe foundation mentioned above, will brighten up any outfit. Your outfit can go from drab to fab in a matter of just putting one on. Scarves take up no more room than the hangar that hangs the tops they coordinate with. They can be used as neck wraps, head wraps, belts and body shawls. They can also be tied onto a handbag. You can wear them long or as cowls. If they are thin, try wearing two together. Go for pretty prints, bnew stripes, striking chevrons, fringes, pompoms, etc. This is where you can have the most fun. Go sassy, snazzy, bold and bright! 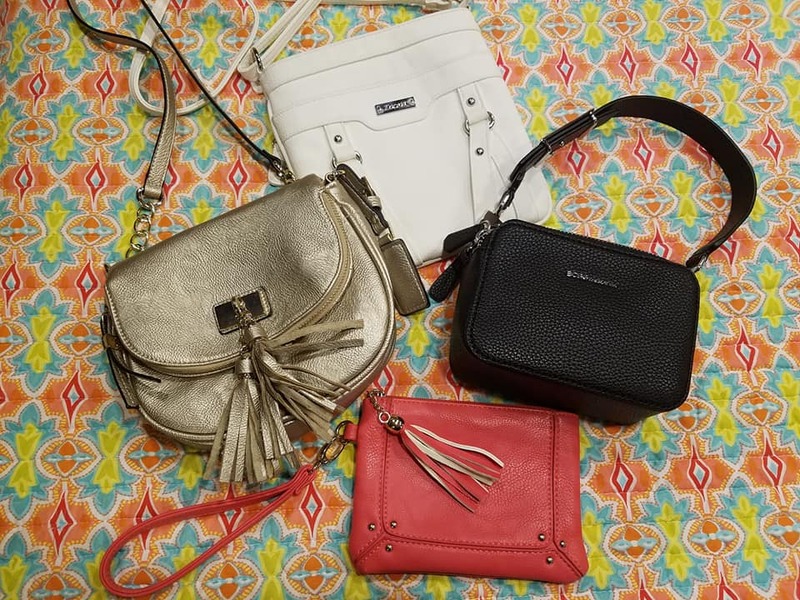 Purses are another part of your fashion foundation. Again, because you are limited on storage space, keep your handbags in neutral colors. Score some cross-body bags to allow your hands to be free to carry your beverage, eat on the street, take photos, or use your phone. Save your big bags for your all day outings to keep in your vehicle but take your little wristlets or cross-body for sightseeing. Your back and shoulders will thank you when you get back! Bring on the bling! Jewelry can help you go from frump girl to fashionista in a matter seconds. Your jewelry defines you, whether it’s sparkly bling, brushed metals or leather. Jewelry is small so it’s easy to store. Costume jewelry is fairly inexpensive, so if you want to match it to an outfit, go right ahead! In fact, the more, the merrier. You can have a lot of fun with coordinating your jewelry to your outfits. Choose silvers, gnews, pewters, etc. for your earrings, chains and bracelets. Add a little color with a few baubles, brooches and bangles. Don’t be afraid to show your sparkle! 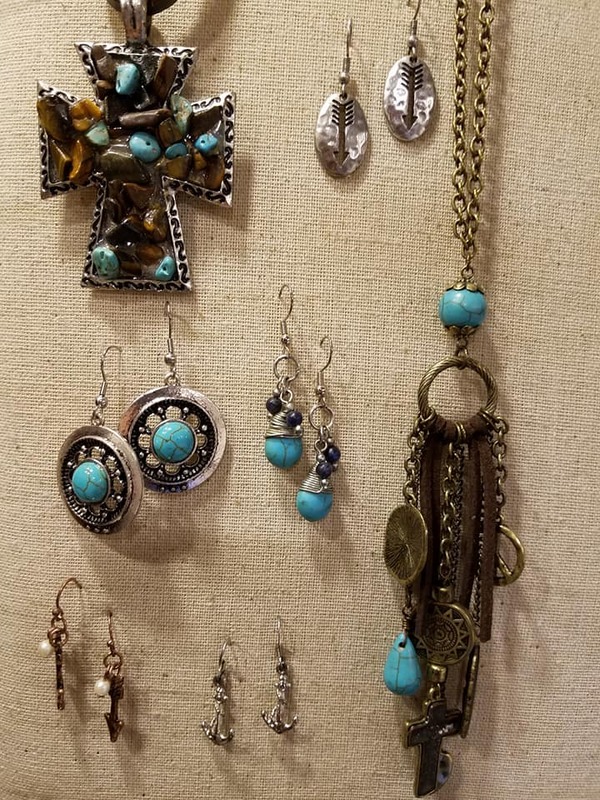 Since you don’t have a lot of space for souvenirs, buying locally-handcrafted jewelry that tells a story surely makes up for it. ONE THING IN = ONE THING OUT! 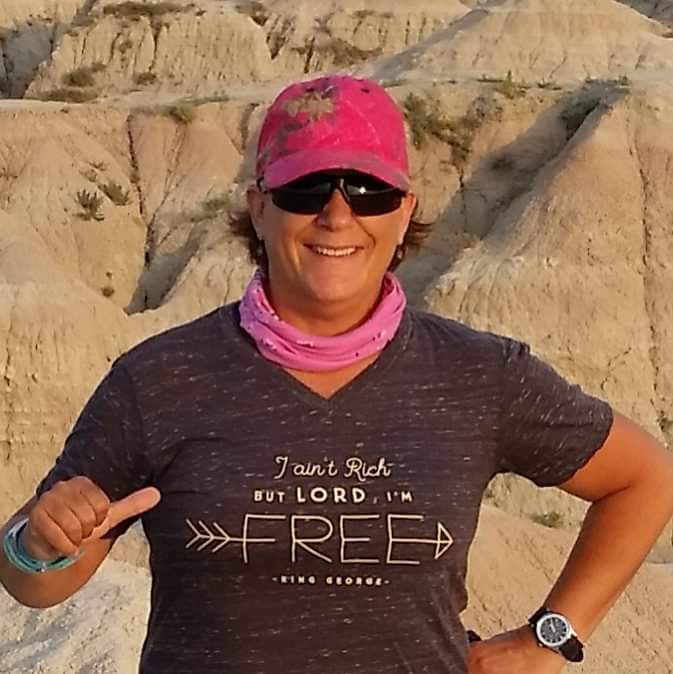 This proves that living in an RV doesn’t mean ladies have to sacrifice fashion or femininity. Living on the road in small compartments doesn’t have to be just jeans, yoga pants, tee shirts and sweatshirts! Go ahead and dress up for your outings. Be proud! Oh, and guys, if you are reading this, you can apply the same concepts to your wardrobe too. You can be fashionable and fabulous! When you live in tight quarters, you’ll notice your wardrobe will rotate more often than when you lived in your sticks and bricks because you won’t have as many garments. Because you don’t have the space to keep everything you want, you’ll need to abide by the concept “one new shirt in, one new shirt out” rule. Shopping at places like TJMaxx, Ross Dress for Less, Marshall’s, and other discount clothing stores won’t leave you as emotional about ditching your older clothes for newer clothes because they won’t cost as much. Lastly, the one thing you can wear with jeans and a tee shirt or a pretty top and skirt is YOUR SMILE!! Regardless if you’re wearing hikers or heels, your smile will never go out of style! Related Blogs you may be interested in….